The US poultry sector and in particular the turkey sector has been rocked by incidents of avian influenza since the turn of the year. To date there have been 219 cases detected and more than 46 million birds affected by the disease and the University of Minnesota has estimated economic losses in the state at $310 million. Most of the incidents that were reported at the end of last year and in the first months of 2015 were on farms under the Pacific flyway for migratory birds. At the beginning of May, however, the first case of avian influenza was reported in a turkey flock under the Mississippi flyway. The United States Department of Agriculture’s Animal and Plant Health Inspection Service (APHIS) confirmed the outbreak of highly pathogenic H5N2 avian influenza in a commercial turkey flock in Pope County, Minnesota. It is the same strain of avian influenza that has been confirmed in backyard and wild birds in Washington, Oregon and Idaho as part of the ongoing incident in the Pacific flyway. Samples from the turkey breeder replacement flock, which experienced increased mortality, were tested at the University of Minnesota Veterinary Diagnostic Laboratory and the APHIS National Veterinary Services Laboratories in Ames, Iowa confirmed the finding. The USDA said that these virus strains can travel in wild birds without them appearing sick. APHIS is working closely with the Minnesota Board of Animal Health on a joint incident response. The US Centers for Disease Control and Prevention said that the risk to people from these HPAI H5 infections in wild birds, backyard flocks, and commercial poultry, is low. Avian influenza is caused by an influenza type A virus, which can infect poultry (such as chickens, turkeys, pheasants, quail, domestic ducks, geese, and guinea fowl) and is carried by free flying waterfowl such as ducks, geese and shorebirds. Avian influenza viruses are classified by a combination of two groups of proteins: hemagglutinin or “H” proteins, of which there are 16 (H1–H16), and neuraminidase or “N” proteins, of which there are 9 (N1–N9). Many different combinations of “H” and “N” proteins are possible. Each combination is considered a different subtype, and can be further broken down into different strains. Avian influenza viruses are further classified by their pathogenicity (low or high) - the ability of a particular virus strain to produce disease in domestic chickens. 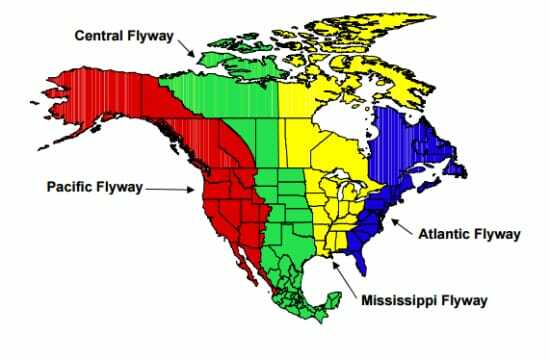 The H5N8 virus originated in Asia and spread rapidly along wild bird migratory pathways during 2014, including the Pacific flyway. In the Pacific flyway, the H5N8 virus has mixed with North American avian influenza viruses, creating new mixed-origin viruses. These mixed-origin viruses contain the Asian-origin H5 part of the virus, which is highly pathogenic to poultry. The N parts of these viruses came from North American low pathogenic avian influenza viruses. USDA said it has identified two mixed-origin viruses in the Pacific Flyway: the H5N2 virus and new H5N1 virus. However, the USDA added that the new H5N1 virus is not the same virus as the H5N1 virus found in Asia, Europe and Africa that has caused some human illness, and the new virus strain is being analysed by the USDA and the Centers for Disease Control and Prevention. The virulent H5N2 strain has now spread to 14 states and the outbreak in Minnesota has led the state governor Mark Dayton to declare a peacetime state of emergency. • And the Adjutant General of Minnesota has ordered to state active duty personnel and equipment of the military forces of the State as required, and for as long as necessary to provide assistance and emergency relief services. The Iowa National Guard has already been called in to assist in the fight to control the avian flu in Iowa. “The recent findings of avian influenza in turkey and egg-laying hen flocks in Minnesota and several other states are of great concern. Perhaps no one is more concerned than our state’s egg, chicken and turkey farmers, who are working tirelessly to protect their flocks and prevent this disease from spreading to their farms,” said Steve Olson, Executive Director of the Minnesota Turkey Growers Association (MTGA) and the Chicken and Egg Association of Minnesota (CEAM). “We are grateful for partnership we have with Governor Dayton and his staff; the U.S. Department of Agriculture; University of Minnesota; and several Minnesota state agencies: Board of Animal Health, Department of Agriculture, Department of Health and the Department of Natural Resources. “Together with the poultry farmers in our state, we will stop the spread of this virus and take the steps necessary to ensure the poultry industry remains vital and we provide consumers with safe, nutritious, high-quality food,” said Mr Olson. The Turkey Growers Association has also raised concern that the current outbreaks could have a knock-on effect on the supply of turkeys at Thanksgiving and Christmas in the US. This is largely because of the time it will take to replace and grow on the birds that have already been culled. When a farm has been infected, the flock has to be culled and hygienically disposed of in the bans and then the buildings thoroughly disinfected – a process that can take up to three months. Then the farmers will have to restock with poults and if some of the supply farms have been infected then this could prove challenging. It then takes about another four months to grow the young birds on to slaughter weight. A major concern has also been whether the viruses will become endemic in the nation’s wild bird population, eventually spreading to the East Coast and down into the heart of the nation’s chicken broiler production states in the South and Southeast. Minnesota currently is ranked number one for turkey production in the US and is home to the world’s largest turkey hatchery company - Willmar Poultry Company and the second largest turkey processing company in the US (Jennie-O Turkey Store. Minnesota's turkey farmers raise approximately 46 million birds each year, bringing more than $600 million in income for farmers, processors and other related industries. The state has about 450 turkey farmers who operate 600 turkey farms and has more independent turkey farmers than any other state in the US.